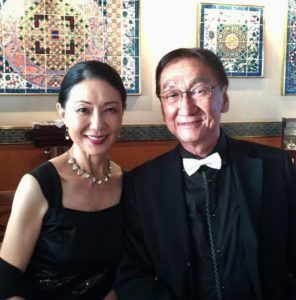 An Interview with Simon & Frances | JC Dance Co.
A retired Financier & Sociology professor, husband & wife team, who seek fulfillment in life through ballroom dancing. F: We started social dancing, both Standard and Latin; and started taking lessons with JC Dance Co. in 2008. From then onwards, we decided to focus our training on Standard only. Joel encouraged us to compete, and we did our Newcomer competition a few months later. Q: What made you decide to try ballroom dancing? F: Both my sister and brother-in-law danced ballroom and I was fascinated by their elegant and sensual presentations. Besides, at that point in time, I was recovering from a serious illness and wanted to do some activities to regain energy and overall health. I decided to give ballroom dancing a try. S: I knew nothing about ballroom dancing and had never danced in my life. When Frances suggested it to me, I thought why not? because it’s an activity that we could explore together as a couple and have some fun. Q: After you started dancing, what made you continue? S: I developed a desire to improve when I realized that dancing is not as easy as I thought. F: I fell in love with it and was addicted! I saw myself getting stronger and my health conditions improved. Dancing is also rejuvenating and makes me feel youthful. Besides, it’s fulfilling to see life after retirement become meaningful with the learning of new skills and setting of new goals. Q: What are you currently doing with your dancing? S: Currently we are dancing Ballroom/Standard at the Championship level. Q: Are you taking group or private lessons right now and why? 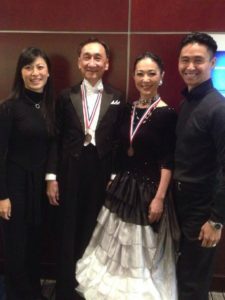 F: We are taking private lessons with Joel & Clara because I believe that incorporating both the gentleman’s and lady’s perspectives will benefit our dancing. S: I like private lessons because it’s more personal and can be tailored to our needs. F: We go to JC Dance Co.’s PEAK for competitor training. From there we have the opportunity to learn from other students in a group setting. S: Dancing with other couples also makes it more competitive. In addition, PEAK provides stamina and fitness training. Q: What is one tip you wish you knew when you first started dancing? F: I wish I could’ve been more patient with myself and my partner. I later realized that progress takes time and there is no easy way out. Q: What other activities do you like doing besides dancing? S: I love travelling and playing online games; and I swim and workout on a regular basis. F: I am passionate about music as I was a trained pianist. So I like spending my spare time listening to music. I also enjoy going to the gym, doing Pilates; and LOVE going places. Q: Is there a specific memorable moment that stands out in your time of dancing? S: For me, it’s my first competition as a Newcomer. I still remember how scared I felt when I was totally lost at some point while dancing our first Waltz. F: There are many memorable moments, but a specific one that stands out was the elated feelings in me when I performed to the best of my abilities. Q: Why did you choose JC Dance Co.? F: There is a certain character in Joel that attracts me to want to keep taking lessons with him. His love and passion in dance, dedication and incessant drive to perfection are very motivating and inspiring. We have been taking lessons with Clara all these years too and her devotion to students, attention to detail, and high expectations have pushed us to work hard. S: The approaches used by both Joel & Clara make me feel comfortable and at the same time challenged. For example, they have always encouraged me to take risks, which has had a positive impact on my attitude towards dancing. F: It’s not easy to teach ‘old dogs new tricks’ but both Joel & Clara did it and have transformed us from casual dancers to serious performers. Q: Why are you still dancing and what are your future plans? S: To dance well is always a challenge that I am willing to face. After competing for almost 10 years, I can feel a positive change to my body: getting relatively stronger and more flexible, and having better posture. So even though I have to deal with my asthma from time to time, I am determined to continue dancing, compete and strive for further improvement. F: Dancing has become an integral part of my life. There is never a boring and dull moment when I dance, whether it’s during lesson, practice, or competition. As I mentioned earlier, dancing is addictive. The more you learn, the more you realize how much more there is to learn. And I want to keep on learning to enrich myself. My future plan is to keep on dancing until I am physically and/or mentally incapable. Becoming a better dancer is now my life long goal. Thank you to Simon & Frances for sharing their perspectives on ballroom dancing! 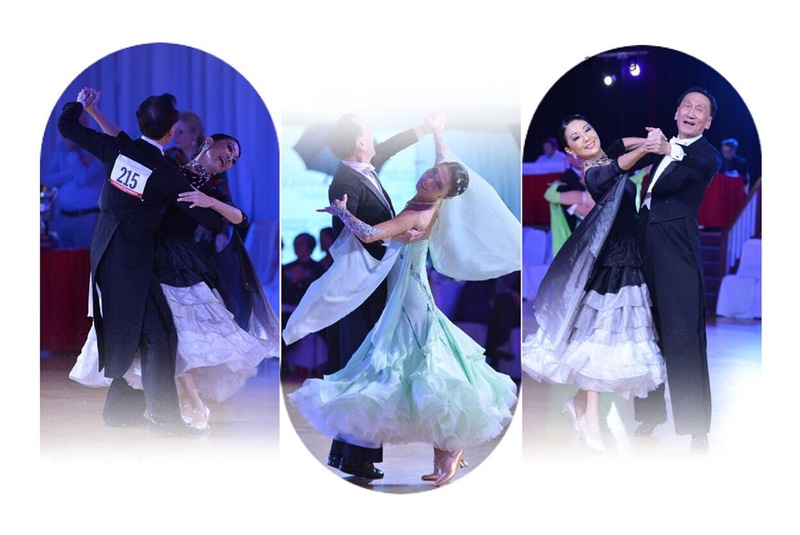 You can find them practicing at the Broadway Ballroom 5-6 times per week, taking lessons and conscientiously warming up their bodies before PEAK on Wednesday evenings at 8:30pm.